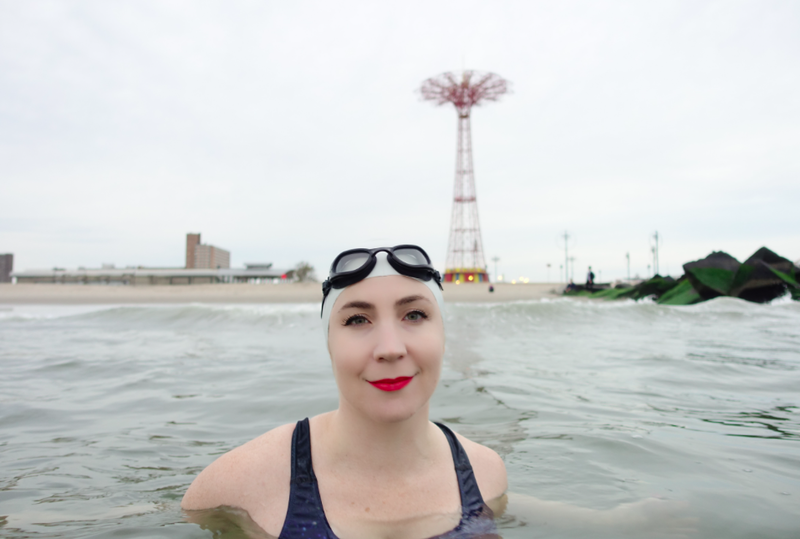 The Class of 2018 includes the world's most prolific and photographed open water swimmer Jaimie Monahan who plys her trade in water temperatures ranging from 0°C on up. 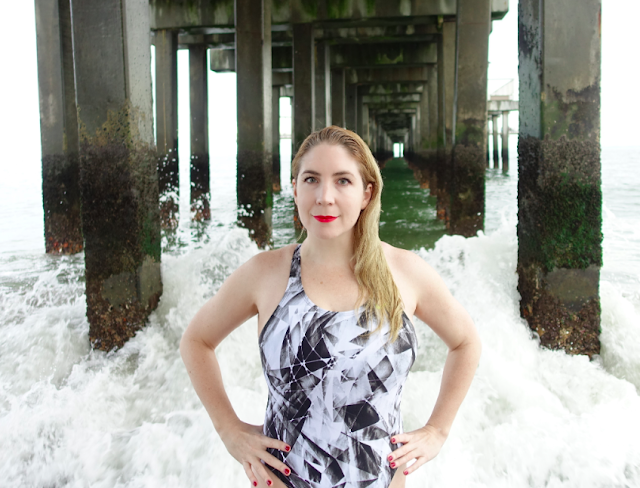 She is one of the world’s most prolific marathon swimmers. Among her many exploits, Monahan has traversed the 69 km (42 miles) of Lac Leman in Switzerland twice: in 32 hours 52 minutes in 2015 and then reversed the traditional route the following summer in an unprecedented swim of 28 hours 36 minutes. She recently did a 60 km (37 miles) cross-border swim across Lake Maggiore from Switzerland to Italy in 24 hours 2 minutes, the first recorded non-wetsuit crossing in the lake. She also completed a new route across Lake George in New York, 52 km (32 miles) in 21 hours 12 minutes in addition to previously completing the Triple Crown of Open Water Swimming (English Channel + Catalina Channel + circumnavigation swim around Manhattan Island). But once around Manhattan Island was not enough for her. 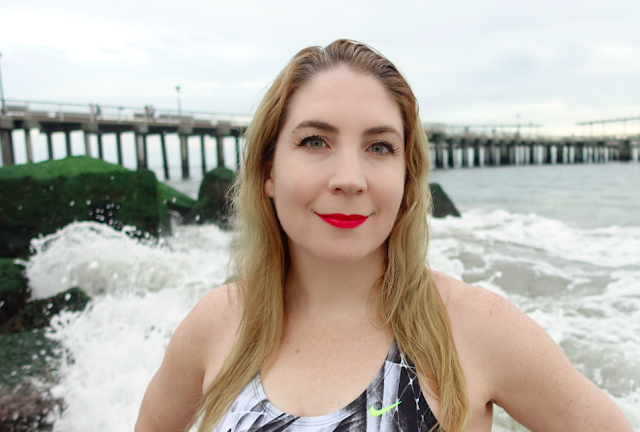 This summer, she won and set a record for the double circumnavigation course around Manhattan in the inaugural 91.8 km (57-mile) New York Open Water's 40 Bridges Double Manhattan Island Swim in 20 hours 12 minutes. 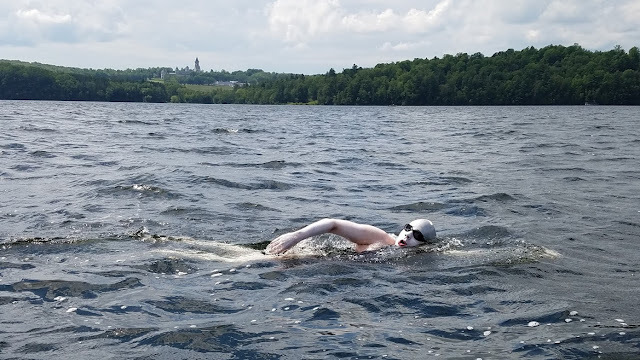 Her other notable marathon swims include the 57.9 km (36-mile) END-WET in North Dakota, USA in 11 hours 56 minutes, 50 km (31 miles) across Lake Como in Italy in 20 hours 29 minutes, 40 km (25 miles) across Lac Memphrémagog from Vermont (USA) to Quebec (Canada), 36 km (22.5 miles) around Absecon Island in New Jersey, USA in 13 hours 59 minutes, 27 km (17 miles) in Lago d'Orta in Italy in 8 hours 38 minutes, and the 27 km (17-mile) Rose Pitonof Swim in New York a total of six times (6 hours 3 minutes in 2011, 5 hours 27 minutes in 2012, 5 hours 31 minutes in 2013, 5 hours 36 minutes in 2015, 5 hours 1 minutes in 2016, and 5 hours 2 minutes in 2017). In addition to serving as the President of the Lake Geneva Swimming Association, she has volunteered as a race director, committee member, and observer in other swims - and perhaps most remarkably, she is the first person to complete the Ice Sevens, a solo non-neoprene Ice Mile swum in water below 5°C under International Ice Swimming Association rules on all 7 continents which must include a Polar Ice Mile and Zero Ice Mile. With her marathon swims, International Winter Swimming Association titles, and ice swims under arctic conditions piling up as fast as her airline miles, she was recently voted as the 2016 World Open Water Swimming Woman of the Year and received the 2016 Barra Award from the Marathon Swimmers Federation. "Jaimie is literally all over the globe. She literally knows no bounds and takes on any challenge in the open water," said Steven Munatones. 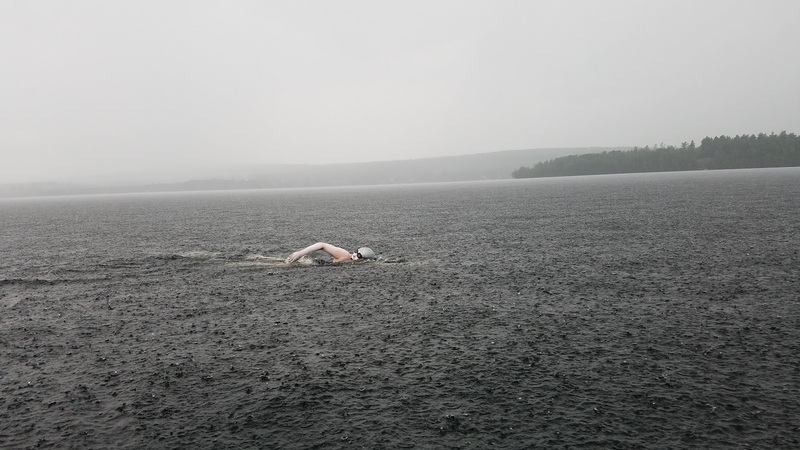 "She is relatively young and her rate of doing ice swims and marathon swims and channel swims and 24+ hour swims is incredible. Frankly, I do not know how she does it given her travel and work schedule. Her ability to recover quickly from her swims is remarkable. Whether she is coming out of a 24+ hour swim or out of 0°C ice water, she is always smiling, constantly serving as one of the world's greatest open water swimming ambassadors." "Jaimie and the other new members of the International Marathon Swimming Hall of Fame emulate those exceptional 269 forerunners already enshrined in the Hall of Fame. Since the class of 1963, our marathon swimming inductees from around the world have received the ultimate marathon swimming recognition. They have been immortalized with their names inscribed on the IMSHOF Sea Goddess, our 'symbol of the sea'," explained Chairman Christopher Guesdon.